The soccer world was saddened by the news this week that legendary forward Stanislaw Terlecki passed away in his native Poland at the age of 62. Terlecki’s time in Cosmos Country was brief, but memorable. The 5’8”, 155 pound striker was world-renowned for his relentless effort and ability to dribble and score spectacularly with either of his size-6 feet. 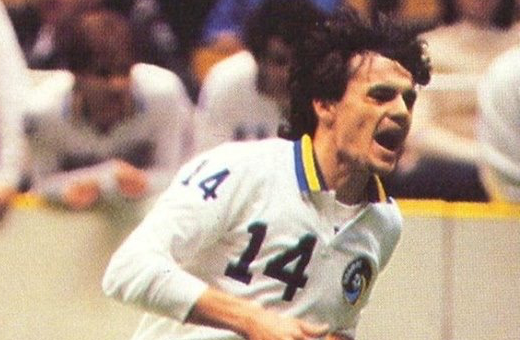 Terlecki signed with the Cosmos on November 28, 1983 as a statement of intent from the club, that the expectation of excellence cultivated with five league titles outdoors would now carry over to the emerging indoor version of the sport. It was a dream come true for Terlecki, who first came to the United States in June of 1981, hoping for a tryout with the Cosmos. Instead, he spent time training with the MISL’s New York Arrows, then went to the Netherlands briefly before being signed by the Pittsburgh Spirit of the MISL, where he quickly established himself as one of indoor soccer’s most lethal strikers. In Pittsburgh, Terlecki was known as “Stan the Fran,” as in “the Franchise.” His only rival at scoring indoors was Steve Zungul, whom he joined with the Golden Bay Earthquakes for the 1983 NASL outdoor season. He paid immediate dividends, earning consecutive league Player of the Week awards over the Christmas and New Year’s holidays. Terlecki finished the season with 34 goals and 23 assists in 23 regular season matches, with another 3 goals and 2 assists in the Cosmos’ playoff run to the final, including 2 goals and an assist in the 8-7 win over the Chicago Sting in the decisive 3rd match of their semifinal series. The San Diego Sockers’ strategy of keeping Terlecki off the scoresheet was the key to their three-game sweep for the NASL Indoor title for the 1983—84 season. 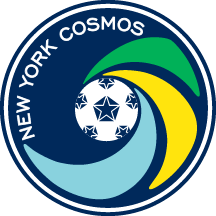 Despite the loss in the final, the Cosmos 20-12 record was the club’s best season indoors. Terlecki contributed 4 goals and 4 assists in 17 league appearances in 1984 on a forward line with Steve Moyers and Roberto Cabañas (the latter also passed away earlier this year, in January). But perhaps his biggest impact was felt in high-profile international matches. Having provided two assists in the Cosmos’ 5-3 win over Barcelona (featuring Diego Maradona), Terlecki’s golazo against Udinese helped secure the club’s third Trans-Atlantic Challenge Cup title. For all his heroics on the pitch, it was Terlecki’s defiance of totalitarianism in Poland that is surely his greatest legacy. The son of university faculty, Terlecki was (like his father) a student of history, a notable exception among Polish footballers, whose education was almost exclusively in physical education. Having already offended the Polish soccer authorities by switching clubs from Gwardia Warszawa to Łódzki KS in 1975, his political views drew attention during the 1978 World Cup. Injured and unable to play, so appearing as a television commentator, Terlecki did not refrain from slipping in sarcastic comments that were critical of communist ideology. And as the Solidarity movement was gaining momentum, as a member of the Polish National Team he became an outspoken advocate for footballers’ rights, culminating in the Okęcie Airport incident in late 1980. Finally, he was suspended by the PZPN (the Polish Football Association) for year. Unable to provide for his family any more as a footballer, Terlecki made ends meet as a teacher while working on his Master’s in History at the University of Łódź in early 1981, but again at great personal risk, he essentially became an enemy of the state, delivering carloads of food to fellow students striking against the oppressive regime. Terlecki would latter document his struggles for freedom in his autobiography, Pelè, Boniek i ja (Pelè, Boniek and me). By the time martial law was imposed in Poland in December 1981, Terlecki was playing for Pittsburgh. As global interest in Polish efforts to topple the totalitarian regime, American media would often turn to Terlecki, who was always quick to crack anti-Soviet jokes. Following the 1984 season with the Cosmos, with his wife Ewa homesick for Poland or at least the Polish-American community in Pittsburgh that had embraced them and their sons, Terlecki went back to being “Stan the Fran” for two more seasons with the MISL’s Spirit. With a relaxation of political oppression in 1986, Terlecki finally returned to Poland, rejoining his former club, Łódzki KS. He retired in 1993 after two seasons with Polonia Warsaw, helping the club achieve promotion to the first division for the first time in forty years. Despite playing just one indoor and one outdoor season for the Cosmos, the Polish striker with the tiny feet and the big heart should be remembered as a hero for all seasons, for both his brilliance on the pitch and for bravely standing up against corruption and injustice to bring positive social change, despite the personal cost. The New York Cosmos wish to extend sincere condolences to the Terlecki family, especially his sons, Tomasz and Maciej.